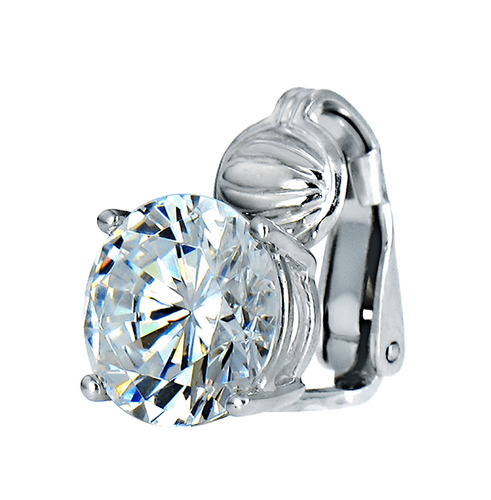 Our CLIP ON 2.5 Carat Each Round Basket Set Cubic Zirconia Stud Earrings in 14K White Gold are specifically made for NON-PIERCED ears. 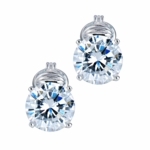 Each 2.5 carat round measures 9mm in diameter and is set in a four prong basket setting for a total of 5 carats for the pair. 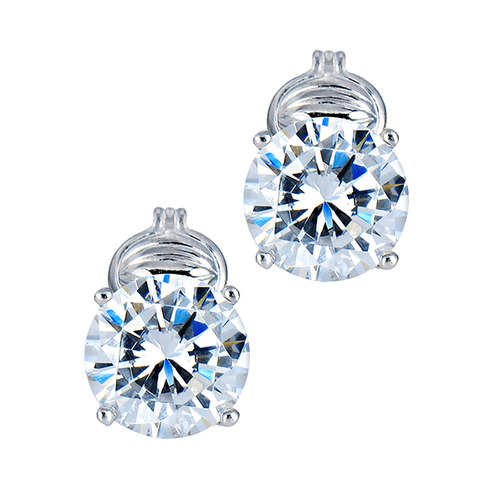 Our lab created laboratory grown simulated diamond look Russian formula cubic zirconia are hand cut and hand polished to exact diamond specifications. 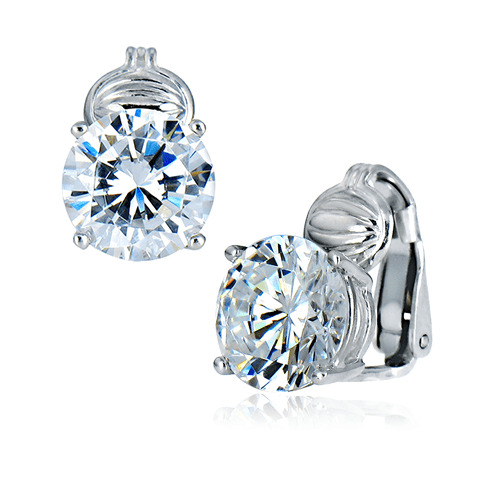 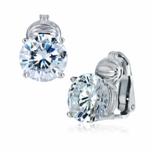 These clip on earrings are offered in 14k white gold. 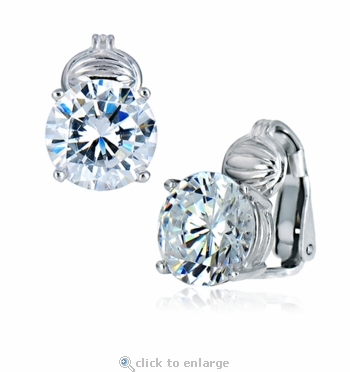 For further assistance, please call us directly at 866-942-6663, option 2 or visit us via live chat and speak with a knowledgeable representative.